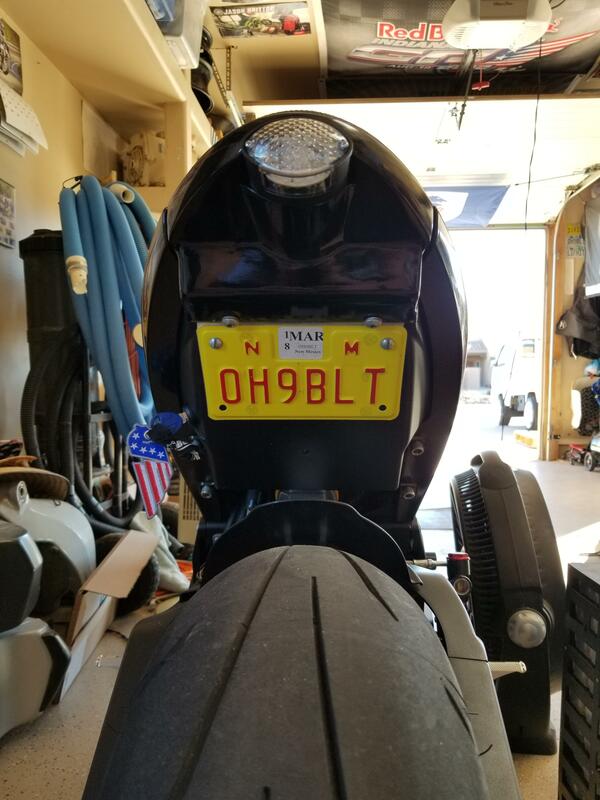 I finally got around to shaving off the license plate brackets and refinishing my RRC X400 tail light housing. 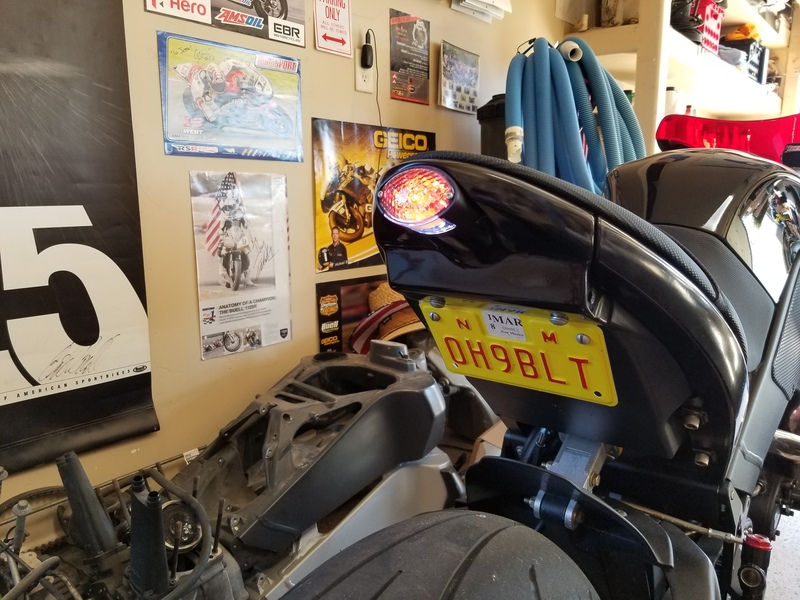 I didnt want to get rid of the XB Lights integrated unit that I had on there but this one is far more unique. Only down side no integrated turns! Last edited by oh9bolt; 01-27-2019 at 02:34 PM. Jess, Nice work as always !! Very nice! 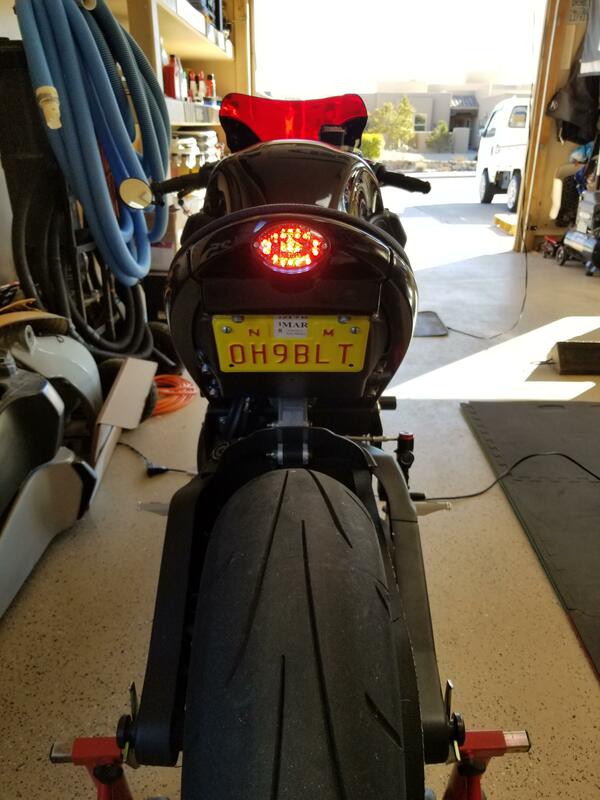 Looks great, what are you going to do about turn signals? Go back to stock? Haaaaahahahahaha, JK. No signals! 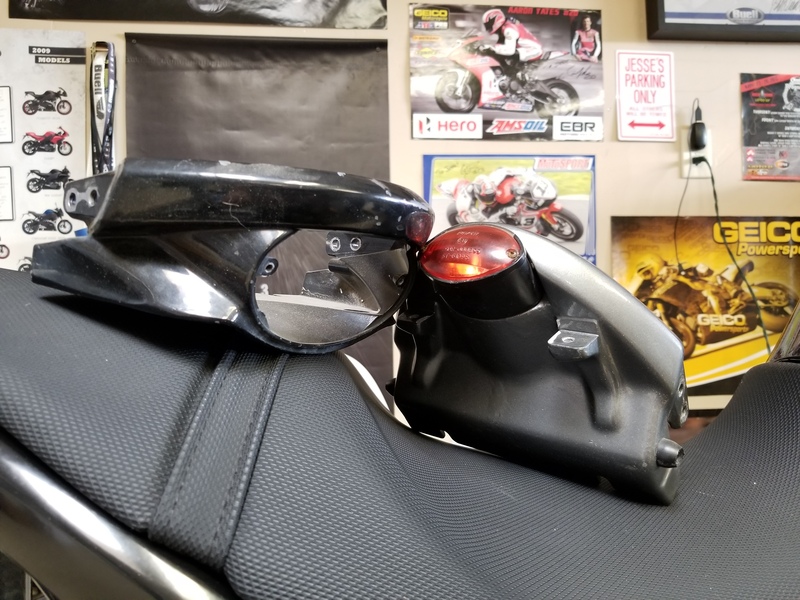 I thought about it it doing the Motogadget M-Blaze sigs but cant justify $100 for 2 tiny turn signals. Nice an clean Jess. Wouldn't expect anything less from you. Thank you kind sir!! I try to keep it clean and simple! I spy 2 frames and the bottom end of an XB motor in one of your pics. I'm sure there is a good story. Haha yup! 2 bikes that I parted out sadly, 1 had destroyed trans gears and had been laid down. The other had a seized motor and looked like it was left outside from 2005 when it was new. Those are the left overs that will become garage decorations, except 2 empty engine cases! They need a good home if you know anyone! Last edited by oh9bolt; 01-28-2019 at 06:53 PM.